Reconsidering the classic Poor People's Movements in the wake of mass uprising. Social movements can be fast, and they can be slow. Mostly, the work of social change is a slow process. It involves patiently building movement institutions, cultivating leadership, organizing campaigns and leveraging power to secure small gains. If you want to see your efforts produce results, it helps to have a long-term commitment. 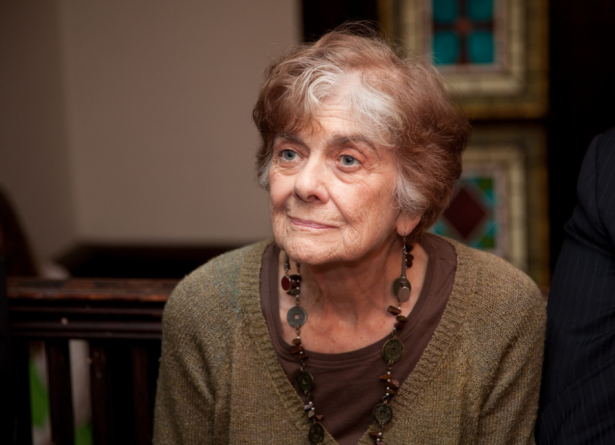 These are the words of Frances Fox Piven, the 81-year-old Distinguished Professor of Political Science and Sociology at the City University of New York Graduate Center. As co-author, with Richard Cloward, of the classic 1977 treatise, Poor People’s Movements, Piven has made landmark contributions to the study of how people who lack both financial resources and influence in conventional politics can nevertheless create momentous revolts. Few scholars have done as much to describe how widespread disruptive action can change history, and few have offered more provocative suggestions about the times when movements — instead of crawling forward with incremental demands — can break into full sprint. In recent years, Occupy Wall Street and the Arab Spring have created renewed interest in such moments of unusual activity. These uprisings have spawned discussion about how activists might provoke and guide other periods of intensive unrest, and also how these mobilizations can complement longer-term organizing. Those coming out of traditions of strategic nonviolence and “civil resistance,” in particular, can find striking parallels between their methods for sparking insurgency and Piven’s theory of disruptive power. Zuccotti Park is now quiet. The small, sanitized plaza in lower Manhattan has long since returned to being a place where a few employees in the financial district take their lunch. But when it was the home of the founding Occupy encampment, Poor People’s Movements was one of the most fitting titles to be found on the shelves of its free library. And for those interested in refilling America’s public plazas with defiant citizens, the book continues to offer insights difficult to find elsewhere in the literature on social movements. Beck’s theories about the left, of course, contained too many errors and unfounded leaps to easily enumerate. Nevertheless, he was correct to identify both Alinsky and Piven as groundbreaking social movement thinkers. Where he went wrong was in concluding that they were part of a unified and malevolent scheme. In truth, while Piven and Alinsky have similar commitments to radical democracy, they represent opposite ends of a spectrum of beliefs about how grassroots advocates create change. Alinsky was a guru in the art of the slow, incremental building of community groups. Piven, in contrast, has become a leading defender of unruly mass protest, undertaken outside the structure of any formal organization. Piven’s ideas were influenced by her early organizing experiences. She grew up in the 1930s in Jackson Heights, Queens, a child of working-class parents who had emigrated from Belarus and who struggled to adjust to life in America. As a precocious 15-year-old, she earned a scholarship to attend the University of Chicago. But, by her own account, Piven was not a serious student at that point, avoiding reading and relying on multiple choice to pass courses. She spent most of her time waitressing at late-night restaurants such as Hobby House and Stouffer’s, hustling to cover the living expenses not provided for in her tuition scholarship. Piven has been refining and elaborating this thesis ever since. Indeed, it was only after a decade and a half of further work that the argument would make its most controversial appearance, in 1977’s Poor People’s Movements. In the still-young world of academic social movement theory, this book would be recognized as a daring and original intervention — and also, in many ways, as a heresy. Today social movement theory is a well-established area of focus within sociology and political science. In the 1970s, however, it was just barely gaining a foothold in the academy. Stanford professor Doug McAdam tells the story of how, as a student activist in the late 1960s, he sought out classes on social movements at his university, searching the catalogue of the political science department. None were listed. When he finally did find discussion of movement activism, it took place in a very different setting than he had expected: namely, in a course on Abnormal Psychology. In the 1970s, this view began losing its hold. Graduate schools became infused with a generation of New Left scholars who had direct ties to civil rights, antiwar and women’s liberation movements. Coming from a more sympathetic standpoint, they sought to explain social movements as rational forms of collective action. Protests would now be seen as politics by other means for people who had been shut out of the system. A leading strain of thought that emerged in this milieu was known as resource mobilization theory. Scholars in the resource mobilization school put social movement organizations at the center of their understanding of how protest groups affect change. As McAdam and W. Richard Scott write, resource mobilization theorists “stressed that movements, if they are to be sustained for any length of time, require some form of organization: leadership, administrative structure, incentives for participation, and a means for acquiring resources and support.” This view synced with the experience of organizers outside the university. In many respects, resource mobilization served as an academic analog to Alinsky’s vision of building power through the steady, persistent creation of community organization. It was also consistent with the structure-based organizing of the labor movement. A structure-based organizer such as Saul Alinsky would not disagree with the idea of using boisterous action to make a stink. After all, he was a great showman and tactician of disorderly troublemaking. 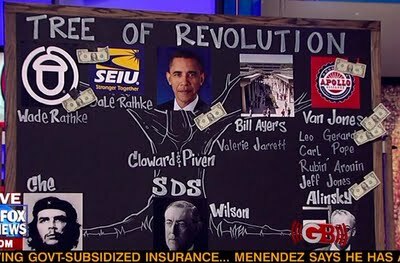 But Alinsky would have sharply parted ways with Piven and Cloward on the need for organization to support change. Poor People’s Movements irked both resource mobilization theorists and on-the-ground activists by contending that not only did formal structures fail to produce disruptive outbreaks, but that these structures actually detracted from mass protest when it did occur. Piven and Cloward’s case studies offered a take on past movements that was very different than standard accounts. Of the labor activism that exploded during the Great Depression, they write that, contrary to the most cherished beliefs of union organizers, “For the most part strikes, demonstrations, and sit-downs spread during the mid-1930s despite existing unions rather than because of them.” Their studies showed that “with virtually no exceptions, the union leaders worked to limit strikes, not to escalate them.” Likewise, in the civil rights movement, “defiant blacks forced concessions as a result of the disruptive effects of mass civil disobedience” — not through formal organization. Poor People’s Movements also made an argument about the pace of change, challenging the idea that gains for the poor were won through steady, incremental effort. Piven and Cloward emphasized that, whatever course of action they take, the ability of organizers to shape history is limited. Adopting a type of neo-Marxist structuralism common in the period — one that looked to find economic and political causes underlying social phenomena — they argued that popular uprising “flows from historically specific circumstances.” The routines of daily life, the habits of obedience people develop, and the threat of reprisals against those who act out all function to keep disruptive potentials in check most of the time. There are not many books written in 1977 that feel more resonant when read in the wake of Occupy and the Arab Spring than Poor People’s Movements. 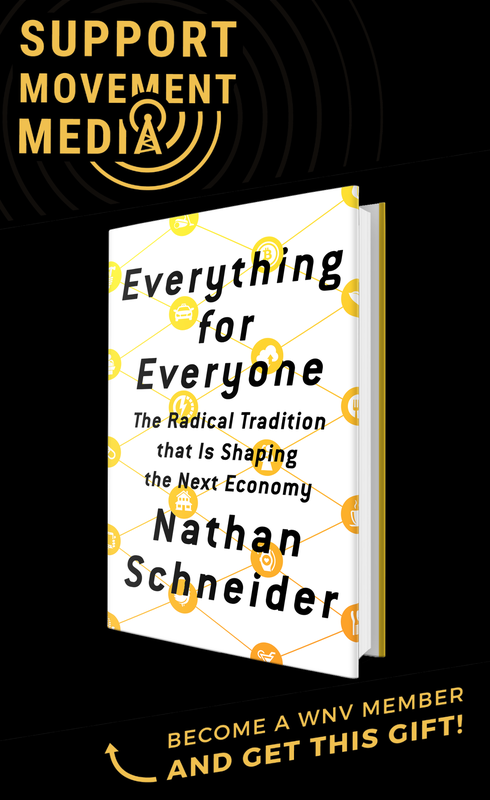 The book is visionary in recognizing the explosive potential of bottom-up defiance, and, at times, seems almost prophetic in anticipating the course of the new millennium’s early uprisings. In recent years, we have witnessed live case studies of disruptive power in action, and they have produced reverberations large and small throughout different parts of the world. But while, on one hand, Poor People’s Movements appears to encourage such mass mobilization, it stubbornly refuses, on the other, to serve as a guidebook for future action. In fact, in asserting that even activists’ best-laid plans — more often than not — are doomed to failure, it threatens to rob people of their agency altogether. If, as Piven and Cloward argue, “protest wells up in response to momentous changes in the institutional order” and “is not created by organizers or leaders,” what are those seeking social change to do with themselves? 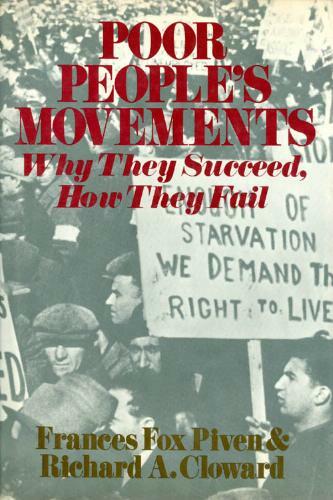 While Poor People’s Movements was quickly recognized as a milestone in its field, the book also provoked some strongly negative reactions. One review dubbed it an “anti-organizational philippic;” another denounced the volume as a call for “blind militancy,” hardly better than the Abnormal Psychology it aimed to replace. Even readers who read with a more sympathetic eye were left to wonder how activists could act on its insights. Looking at Piven’s wider career helps to give context to this issue — and also stakes out some middle ground. Even as Poor People’s Movements, full of polemical contentions, makes momentum-driven mobilizing and long-term structure building seem more mutually exclusive than they need to be, the scholar’s life as a politically engaged citizen has exhibited considerably more nuance. First, it is worth noting that, at the time that Piven and Cloward were researching Poor People’s Movements, the U.S. labor movement was as large and bureaucratic as at any time in its history. Unions were major supporters of U.S. Cold War foreign policy, putting them at odds with the New Left. Criticism of the ossifying character of big labor was hardly rare in progressive writing of the period. Yet even then, Poor People’s Movements acknowledges the importance of unions in defending against the erosion of gains won by protest movements during moments of peak mobilization. Over the past decades, Piven has been a consistent supporter of labor’s more scrappy and militant organizing factions. Piven and Cloward were themselves involved in significant organizational advocacy. In the 1980s, the two formed an organization called Human SERVE (Human Service Employees Registration and Voters Education) to promote mass voter registration in low-income communities. Their work was instrumental in securing passage of the Voter Registration Act of 1993, also known as the “Motor Voter Act,” which allowed people to register to vote in welfare agencies and when getting drivers’ licenses. When President Clinton signed the bill into law, Piven spoke at the White House ceremony. She has also had warm relations with Alinskyite groups. In 1984, Cloward and Piven wrote the foreword to Roots of Power: A Manual for Grassroots Organizing by veteran activist Lee Staples, praising the work as “an exemplary exposition of the knowledge and skills that grow out of community organizing.” More recently, Piven celebrated ACORN as “the largest and most effective representative of poor and minority people in this country” lamenting that the right’s successful attacks against the organization produced an immense loss. All of these things suggest that, even in Piven’s view, movement organizations can make important contributions. That these contributions are distinct from the type of mass uprisings that exert disruptive power only means that different groups of movement participants might specialize in different types of dissident activity. Although it does not emphasize the point, Poor People’s Movements makes a telling distinction between “mobilizing” and “organizing.” Piven and Cloward write, “disruptive strategy does not require that people affiliate with an organization and participate regularly. Rather, it requires that masses of people be mobilized to engage in disruptive action.” While such mobilizing may take place outside the bounds of mass membership groups, it need not be regarded as spontaneous. Instead, skilled practitioners can have a hand a making it happen — provided that these mobilizers understand their role differently than structure-based organizers. Piven and Cloward point to Martin Luther King’s Southern Christian Leadership Council, or SCLC, as an example of a group that carried out this type of mobilizing work. Critics have long argued that the SCLC — by moving from city to city, producing media frenzies, and leaving locals to clean up the mess they left behind — did not do enough to cultivate lasting indigenous leadership. Piven and Cloward defend King on this point. They acknowledge that the SCLC “did not build local organizations to obtain local victories,” but they argue that this was intentional. The group’s method was different, and not without its strengths. King and his lieutenants “clearly attempted to create a series of disruptions to which the federal government would have to respond,” Piven and Cloward explain. “And that strategy succeeded” — creating pressure for national legislation such as the Civil Rights Act of 1964 more effectively than could local organization alone. This is a reasonably hopeful note upon which to end. Still, activists can be forgiven if they find Poor People’s Movement‘s advice to be frustratingly vague. In a later essay, Piven and Cloward note: “Saul Alinsky said organizers must rub raw the sores of discontent, but that does not tell us which sores, or whose sores, or how to inflame them, or what to suggest people should do when they are ready to move into action.” This is well put. And yet, most often, Piven and Cloward are even one step further removed from any direct guidance of social movements. Because of this, it has been left to others to provide more practical insights into how to orchestrate disruptive protest. Fortunately, the world of social movement thinking is now experiencing a renaissance on this front. Activists reared in the school of strategic nonviolence, or “civil resistance” — a lineage which grows from the work of Gene Sharp — represent one leading group that is taking up questions of how disruptive outbursts can be sparked and guided. Their tradition recognizes both conditions and skills as relevant in shaping mass mobilization. These practitioners would acknowledge, as Piven writes, that there are “major ways protest movements are shaped by institutional conditions,” and that the effectiveness of organizers is often “circumscribed by forces they [do] not control.” However, this only makes it more important that activists refine their skills for addressing the aspects of mobilization they can influence. These skills include the ability to recognize when the terrain for protest is fertile, the talent for staging creative and provocative acts of civil disobedience, and the capacity for intelligently escalating once a mobilization is underway. A rich field of study is emerging to explore these issues. Piven’s work offers something valuable to it: a bridge between emerging ideas about civil resistance and more established currents of social movement theory. Others, including people from Alinskyite schools who have been inspired by the mass mobilizations of recent years, are also considering how traditional community organizing models can be expanded. They are demonstrating that the study of momentum-driven mobilization does not rule out appreciation of what can be accomplished through building institutional structures. Moreover, a focus on disruption does not require that activists wait around until the next “Big Bang” moment in world history arrives before endeavoring to take action. Even smaller-scale disruptions — mobilizations at the level of one city or one campus — can have significant impact. The lasting legacy of Poor People’s Movements is that, in providing a counter-balance to traditional ideas about organizing, it opens the door for more inventive analysis of movement strategies. Recognition of mobilizing and organizing as two distinct forms of action allows for dialogue between different schools of thought — and it ultimately creates the possibility of synthesis. For veterans of Occupy and the Arab Spring, the topic of how explosive short-term mobilization might be combined with long-term organizing that can institutionalize gains and make movements more sustainable is an exciting one. Indeed, many believe that discussion of it is essential for future social movements. Their hope is in the possibility of integration — between momentum and structure, between fast and slow. 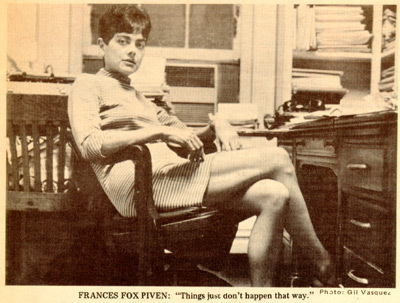 Thank you for the article about Frances Fox Piven. However, when you wrote about what Glenn Beck said about her, you failed to make a distinction between his unfounded criticism of Ms. Fox Piven, Saul Alinsky, and President Obama & of his justifiable criticism of Bill Ayers. After all, Ayers and his terrorist co-horts in the Weathermen resorted to setting off bombs which endangered innocent people, and which put them in the same league as the terrorists who bomb abortion clinics. Unfortuneately, there will always be people like Ayers who’ll distort the ideals of leaders like Ms. Fox Piven to justify their own pyschoses. Informed criticism of Ayers is justified. Glenn Beck’s was not informed–by a long shot. There’s no point in dignifying it. Monkey wrench gang gone big. This story left me a bit mystified at the time. But I realize now, after reading your excellent synopsis of Poor People’s Movement, that perhaps Professor Piven was stressing that, even when conditions are right for upswells of disruption, the skills of agitators, organizers, and mobilizers are critical. The right kind of dramatic flair, and the right message, can focus the attention of a crowd and shape its mood and direction. This is right on target, of course. A really nice example of a somewhat more balanced approach to the tradeoffs between structure based organizing and movement-building comes in an article Piven and Cloward wrote called “disruptive dissensus” in Reflections on Community Organizing, 1999. The essay ends with a specific list of recommendations for community organizers who are interested in interacting with movements, and are less dismissive (although still somewhat dismissive) of structure based organizing. Thanks for mentioning the 1999 Piven/Cloward essay, Aaron. While (mostly for reasons of space) we didn’t get into it in our article, I think that piece is their most explicit and sustained reflection on what the “mobilizer” role would actually entail. 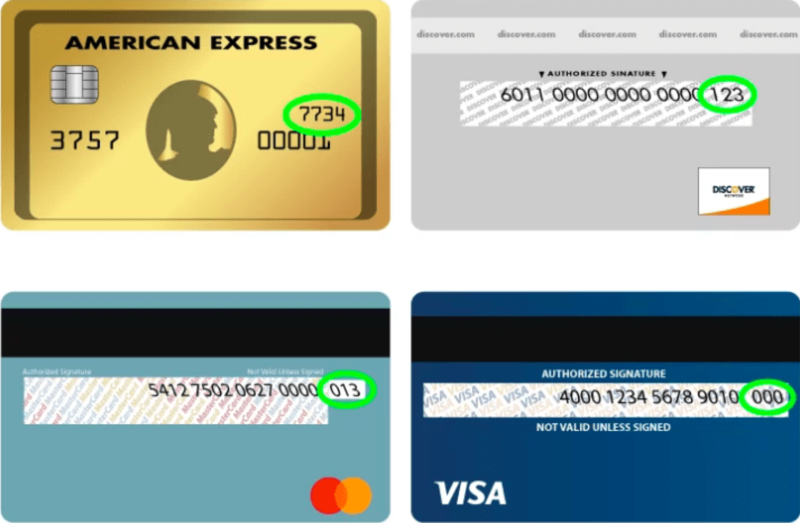 It would be great if it were online for easy dissemination. We could probably just get away with reprinting the list of recommendations at the end of the article. It summarizes it pretty well.